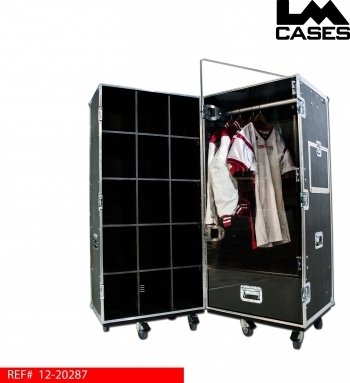 The 2013 Deluxe Coaches Trunk is designed for teams that have to dress 30 coaches. Each Deluxe Coaches Trunk features 15 cubbies (2 trunks for 30 coaches) and a hanging clothes section. 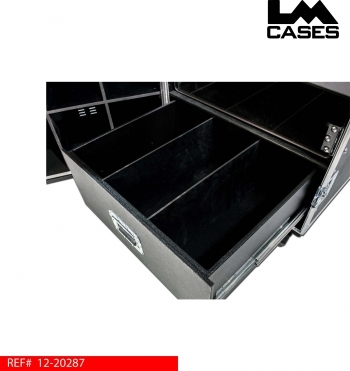 The interior of the case is treated with our proprietary black texture coating for easy cleaning. The cubbie compartments are built out of 1/2" black plastic for an extremely strong and easy to clean individualized storage section. 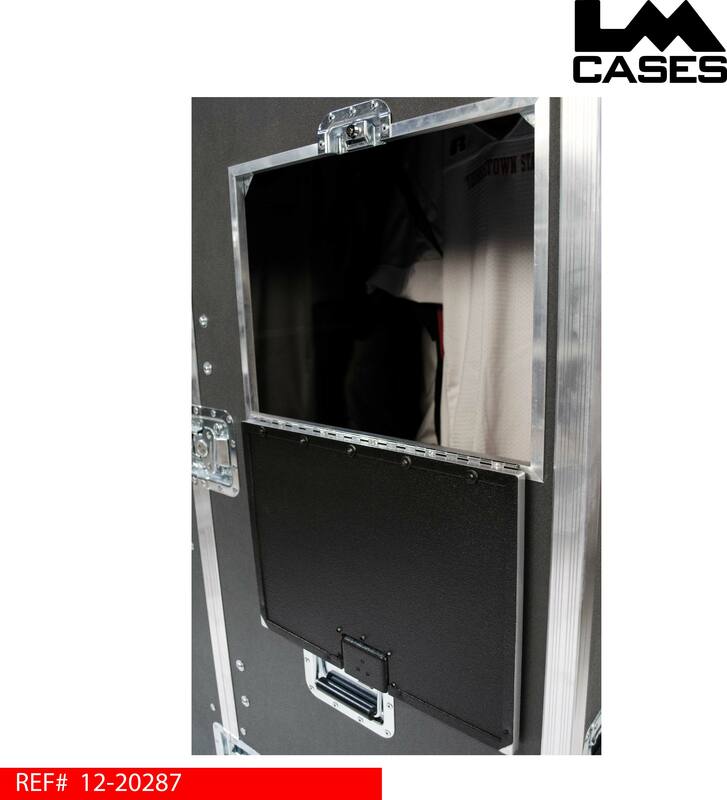 The hanging clothes section is also texture coated and is separated from the cubbie compartments by a new 3/8" Lexan door with heavy duty Southco cabin latches. The hanging clothes section features a lockable trap door allowing coaches to throw dirty laundry in with out opening the trunk. Below the hanging clothes section is a drawer that features 3 compartments and is mounted on HD Accuride gildes. 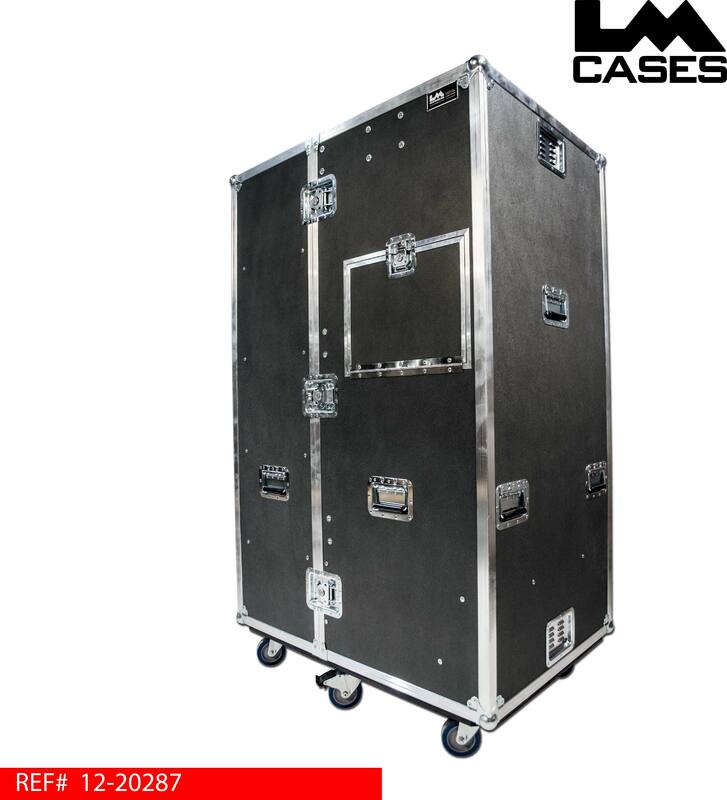 The exterior case is built out of 3/8" plywood and features 4" Colson casters.